One of the most acute threats to seabirds is introduced predators, which depredate seabirds at all life stages from eggs to adults. Consequently, predator eradication has been identified as an effective and commonly used seabird conservation method. Seabird recovery post-eradication is influenced by complex and interacting environmental and demographic factors, though gaps remain in our understanding of the speed at which ecosystems respond to seabird recolonization. While monitoring seabird colonies post-eradication can help improve this understanding, limited resources and the remoteness and number of seabird islands challenge our ability to achieving long-term monitoring and research objectives. Therefore, economical and effective monitoring tools are needed. Remote sensing has been used for decades in agriculture to evaluate crop nutrient status. Advances in remote sensing tools have improved the quality and reliability of applying this technology to evaluate a range of ecological systems. Seabirds can introduce large quantities of guano, effectively fertilising their island habitats. Concentrations of ammonia in soils have been positively correlated to seabird burrow density, and deposition rates of nitrogen into low nesting density systems can be as much as 3 times the rate of standard agricultural fertilisation rates. Our research investigates if methods used for evaluating crop nutrient status on agricultural fields can be applied to a heterogeneous forest canopy. In this way, remote sensing could be used for monitoring long-term changes in seabird nesting density by evaluating canopy nutrient status. 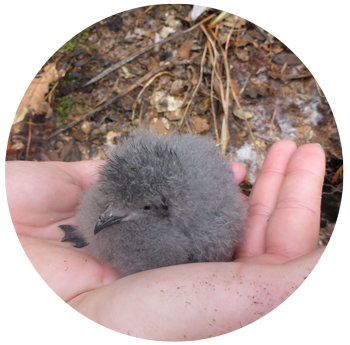 To test this hypothesis, we are investigating the relationship between seabird burrow density, and soil nitrogen and canopy level nitrogen on islands in the Mercury Island group, off the east coast of the Coromandel. We used a UAV (unmanned aerial vehicle) mounted multispectral sensor to collect extremely high resolution images (5cm). 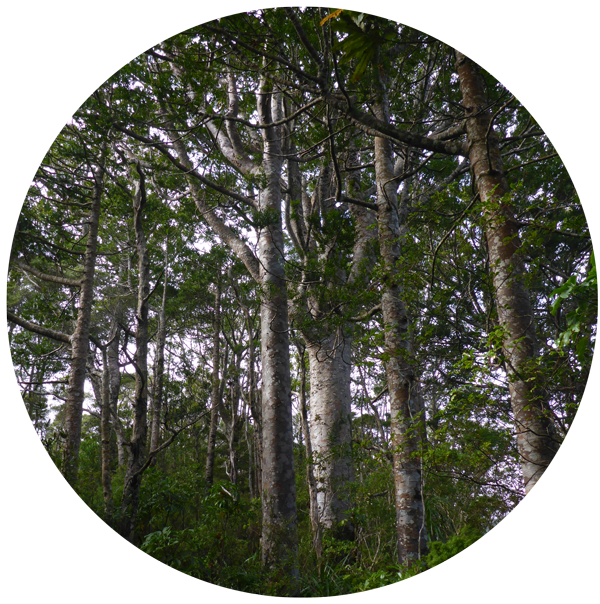 This imagery is used to evaluate canopy composition and the spectral reflectance signature of pōhutukawa (Metrosideros excelsa), in relation to seabird density. We sampled and analysed soil and leaves from pōhutukawa trees on Korapuki (18 ha), Middle (13.5 ha), Green (2.5 ha), and Great Mercury (1867 ha) islands for total nitrogen and carbon:nitrogen ratios. Seabird nesting density on the islands ranges from low (1 burrow/m2) to high (10 burrows/m2). As expected , we found a strong relationship between seabird nesting density and soil nitrogen. However, our preliminary results indicate this relationship is not strongly transmitted to the canopy of pōhutukawa (Journal of non-significant results?). This result may be attributed to the physiology of pōhutukawa, which is a highly stress tolerant species. 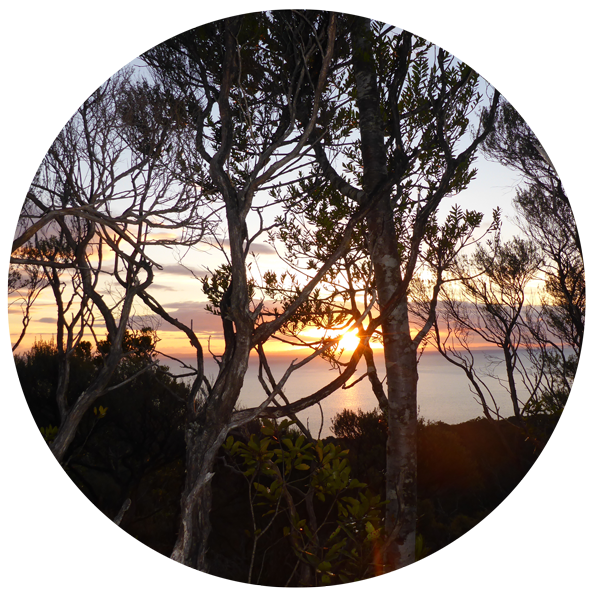 Pōhutukawa distribution is predominantly coastal, trees must be adapted to salt spray, arid environments, poor quality soils, often establishing on rocky steep cliffs. We postulate that given these stress tolerant adaptions, pōhutukawa may uptake and store only the nutrients it requires for growth and homeostasis, and perhaps is limited by other resources, so is not responding to nutrient enrichment in a way that is detectable in canopy spectral reflectance. With these results in mind, our research continues to evaluate the spectral response of other island canopy species to seabird nutrient enrichment, and the topographic and environmental influences that might affect forest canopy reflectance. In the coming field season, we will be evaluating the canopy species māhoe (Melicytus ramiflorus) and milk tree (Streblus banksii) to compare the results of pōhutukawa with and identify other species that may act as proxies for evaluating seabird nesting density changes over time. 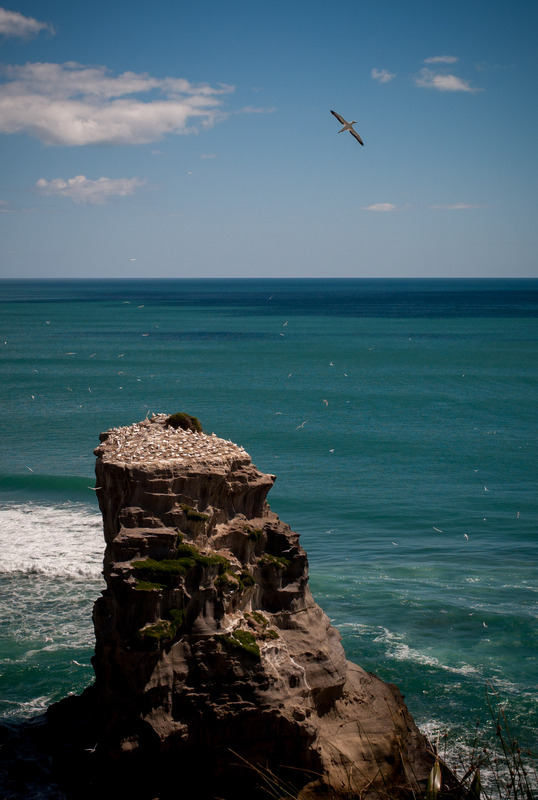 Predator eradication is an effective tool for protecting New Zealand’s seabirds. However, to ensure that seabirds populations are stable or increasing in the face of additional threats, such as fisheries and pollution, long-term monitoring is needed. Developing methods using remote sensing technology provides the opportunity to achieve these goals in an affordable way, across larger spatial scales than has been previously possible. This entry was posted in Conservation, Seabirds. Please share the Twingle details and bring along other seabirders! Tweet, Facebook etc…..! P.S don’t use Urban Dictionary for the definition of twingle, it means something completely different. This entry was posted in Seabirds and tagged seabirds. Here in New Zealand, we live in the “seabird capital of the world”, where more species congregate to breed than anywhere else. Although experiencing this diversity makes us lucky as seabird researchers, it also means we have a great responsibility. Seabirds face many challenges in our changing world, from fisheries by-catch at sea to non-native predators on their breeding grounds, and threats along their migration routes. What better way to confront these issues and come up with solutions, than to work together? In an effort to encourage collaboration between seabird researchers in Australasia, the Australasian Seabird Group and Ornithological Society of New Zealand are working to put a seabird research map together. No matter if you’re a new student, a community group, or a seabird guru, we’d love to hear about your research. We’re using new technology called “thundermaps” to map out seabird research activity, much like the “Kereru Count” has mapped out Kereru sightings. Think it’s too complicated? 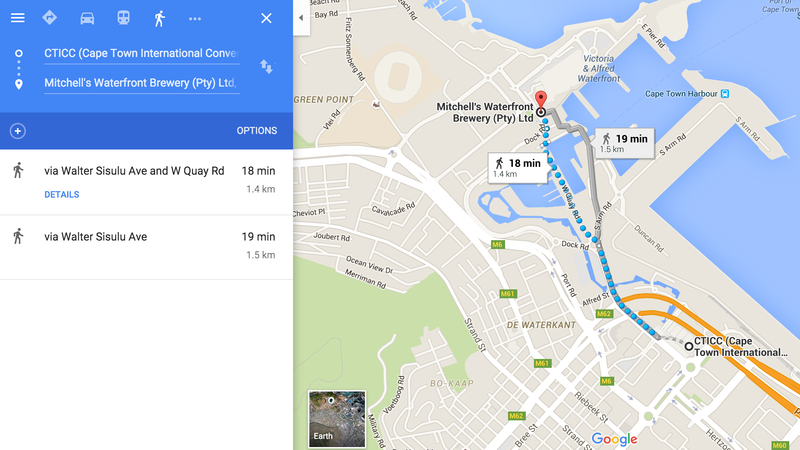 Well, we’ve tried to make it easy by walking you through step by step here: How to pin your research NZSeabirdResearchMap. If you’re interested in keeping in touch with other seabird researchers, please leave us your email. Also, find us on twitter @Aus_NZ_seabirds or on facebook at the Australasian Seabird Group homepage. This entry was posted in Science Communication, Seabirds and tagged Conservation, islands, seabirds. In April 2014 I was given the unique opportunity to hunt the New Zealand Storm Petrel for 5 days on Hauturu. By hunting, I mean trying to find the burrows of these elusive little seabirds. The New Zealand storm petrel (NZSP) was thought to be extinct until an individual was randomly caught by a fisherman, who happened to be an ex-wildlife ranger, who happened to be on a fishing vessel off the coast of Hauturu in 2003. Since then, nearly 200 birds have been tagged and burrows have been located on a steep valley. Earlier in 2014, the team found the first NZSP egg. 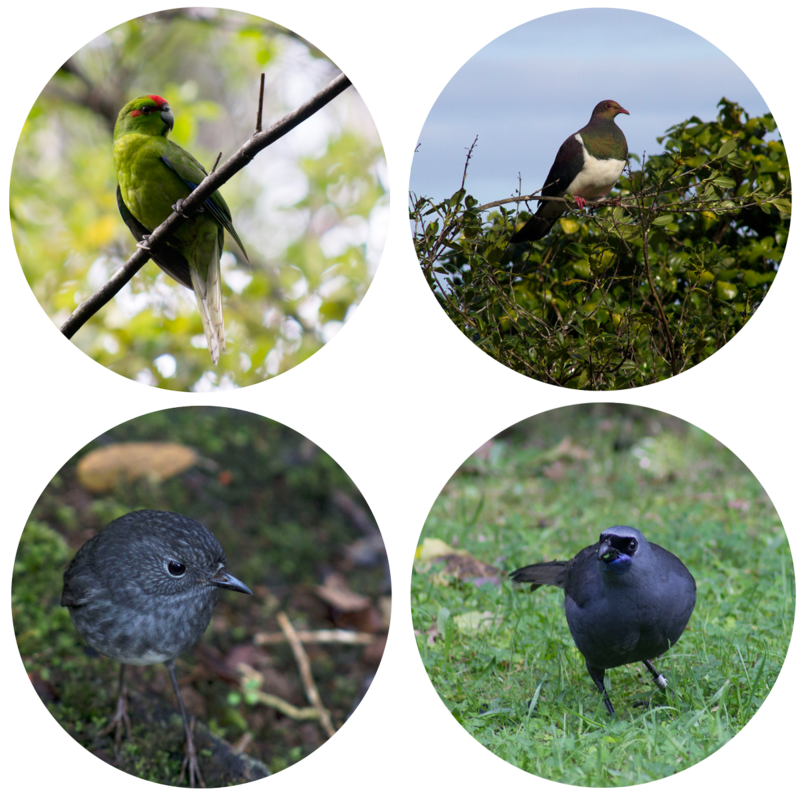 We know little about this cryptic little bird, mostly how did it survive the presence of kiore (Pacific rats; Rattus exulans), and cats (Felis catus), which arrived with the early Maori explorers and European settlers to New Zealand. Hauturu was designated a Nature Reserve in 1894. The island is rich in history of Maori occupation and management by the crown in the years following the designation (you can read the rangers diary’s going back to 1934 in the library on the island, which makes for some sporadic and interesting reading). Cats that were bought over by some of the islands residents, and the rats that had arrived with the Maori were removed from LBI in 2004 and 2007 respectively. It was an arduous job, which took years of planning, and at huge expense to the government and Hauturu supporters. You cannot argue that the effort and money was not worth it, not by any stretch of the imagination. Hauturu is magic. After the quarantine routine, where a DoC bio-security staffer meticulously picks through every item of clothing and piece of gear you have neatly organised, it is re-packed in sealed plastic bins to be transported to the island via a bio-security approved boat. 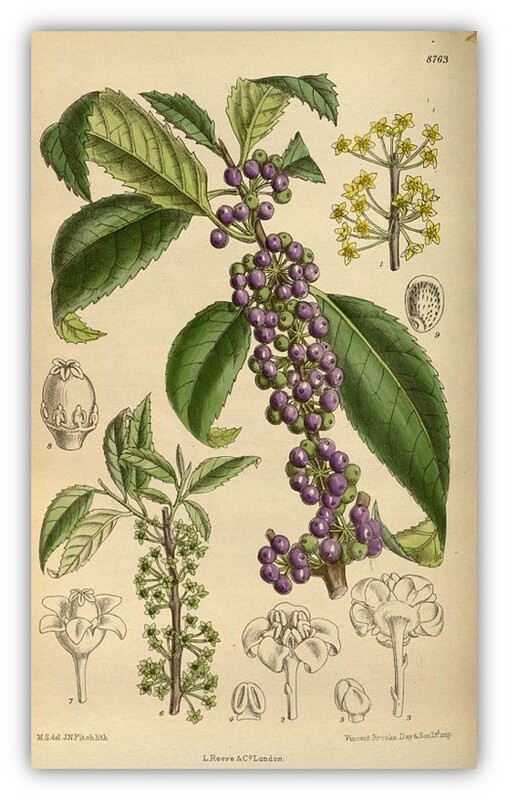 All measures are taken to avoid the invasion of rats, or other vermin, and the transport of weed species (particularly seeds) from the mainland. There is a yearly contingent of weed teams that head out to the island to pull out already established weeds, working hard to minimise further spreading and the establishment of species that would out-compete native species. Stepping foot on Hauturu feels like a trip back in time, to when the effects of human settlement hadn’t yet begun. A cacophony of birds echoes through the valleys. There are Tuis, Saddlebacks, Bellbirds, Kereru, Fantails, Robins, Kaka, and more, and there are Kokako feeding on the last of the figs, right outside the bunkhouse. Someone forgot to tell the kiwi that they are nocturnal, because they seem to not mind foraging in the bright daylight hours. The birdsong on Hauturu is so loud that sometimes it drowns out the silence. The forest is full and diverse, and magnificently alive. The undergrowth lush and vibrant, thick with ferns, mosses, epiphytes, orchids, astelias, collospermums, and more, unlike the mainland bush that is browsed and trampled by possums, goats, rats, deer, pigs and people. Towering above the sub-canopy of broadleaved species, kanuka, and tree ferns are majestic kauri, and hard beech. 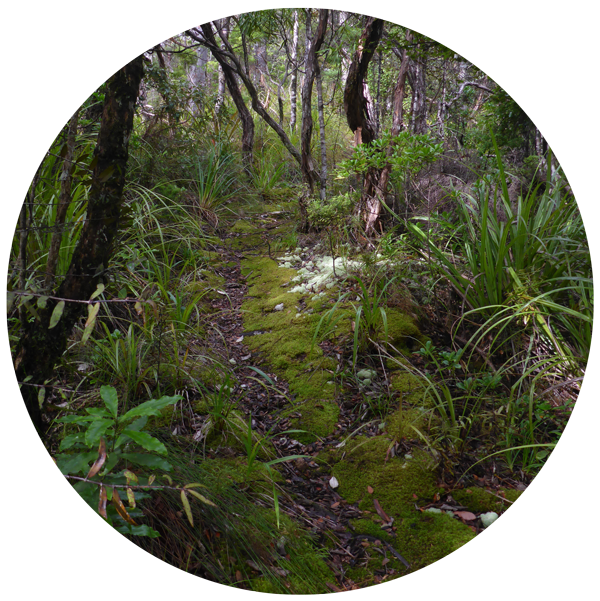 Fantails and hihi dart around your head and robins lead you, softly treading across the moss-covered tracks. In the evening, the warm, red sunlight seeps through the branches, transforming the magic of the Hauturu into something otherworldly. The smell of the forest takes your breath away. NZSP’s spend their days walking on water, foraging in the outer Hauraki Gulf and further (we don’t really know exactly where they go to forage). In the evenings they fly not quite silently back to their burrows to feed their chicks. They are not easy birds to find. We spent our evenings and late into the night perched on steep cliffs, kauri and beech towering above us, quietly whispering with the breeze. At night the forest is commanded by the calls of bats, kiwi, morepork, and kaka. The occasional flutter of wings was the most exciting sound, and eagerly we lit up the canopy in hope of seeing one of the little storm petrels flying past. The infra-red cameras stealthily set up outside a couple of the known burrows recorded our elusive NZSP’s shooting into their burrows, quicker than the blink of an eye (4 seconds to be precise). Although we didn’t see them, we know they are there. The hot coffee, complete with a splash of whiskey kept our resolve to stay a little longer, until we finally gave up and clumsily clambered up the steep slope. The track was illuminated by the bright piercing glow of our headlamps. The haunting echo of morepork hunting their prey, and kiwi snuffling through the undergrowth. Treading through the dew soaked grass flat, it’s best to keep your eyes open for Tuatara star-bathing on the track, and ungraceful kiwi stomping through the undergrowth searching for dinner, from the veritable buffet of invertebrates that prosper here. When you stopped for a moment and looked to the heavens, it was illuminated brightly by the milky-way. On our final day on Hauturu, a kokako popped by for morning tea on the grass outside the bunkhouse, then we hiked up to a NZSP burrow site and had a look inside. Opening the top cover of the burrow we discovered a small, light grey fluff ball. It was a NZSP chick. I fail to find the words to describe the sheer amazement of the experience and how privileged I felt, perched on a cliff of one of the most magnificent islands I have ever seen holding that tiny bird. The cryptic New Zealand storm petrel, once thought to be extinct, is breeding on a magical island in the Hauraki Gulf. This entry was posted in Conservation, Seabirds and tagged Conservation, environment, islands, seabirds.